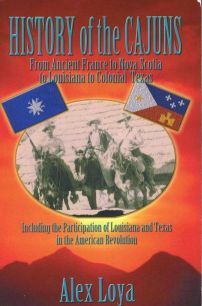 Acadian Genealogy Homepage; "Jean Haché & Hélène Boudreau" Book! The 368 pages is made up of seven chapters. The first section shows a beautiful overview of life in Acadia before, during, and after the Expulsion. The second part presents the history of our ancestor Michel Haché-Gallant, including his descendants. Many interesting personal stories, including that of Isaïe Haché and his descendants make up the third unit. The fourth slice is designed for my English readers. Genealogy, being the most important, is the longest division listing 2,030 persons having 290 different family names. An interesting index, indicating the names of the numerous persons, along with some pertinent information make up the sixth part. The 47 pages of chapter six contain 350 precious photos (370 in the whole book)! An extensive bibliography concludes the volume. 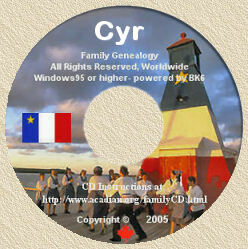 From our common ancestor, Michel Haché-Gallant, down to the last, there are thirteen generations. And, counting Pierre Larché, from France, adds up to fourteen beautiful generations. This book is available for $35.00 Canadian, plus shipping. Internet: Je vous invite à visionner mon site français. I invite you to visit my English web.